“Prayat12.com” is the personal blog of Laura Zielke, citizen of the United States and Christ-Follower. It was created in response to an idea to stop theorizing about the current political situation and take it to the ONE person who can effect the necessary changes needed to get to the truth behind each candidate: God Almighty. On March 16, 2016, during my prayer time when I was asking God what the heck we are supposed to do about the situation in our country right now, I truly felt like we are supposed to PRAY. All of us. Seriously. If we could each take ONE minute out of every day and pray specifically about the upcoming election, it would make a positive difference. Therefore, I decided to do something to help rally people together to pray. This is a NON-PARTISAN effort to pray for God’s help in discerning (and revealing) the truth about the candidates, so we can make more accurate decisions when voting. I almost talked myself out of it, because how can one relatively unknown woman make any kind of dent in this political drama that is playing out on the world stage? But then I remembered what we’ve been studying in our Sunday School class at church. A few weeks ago, we studied about the widow who gave her two mites—”all that she had”—at the Temple. 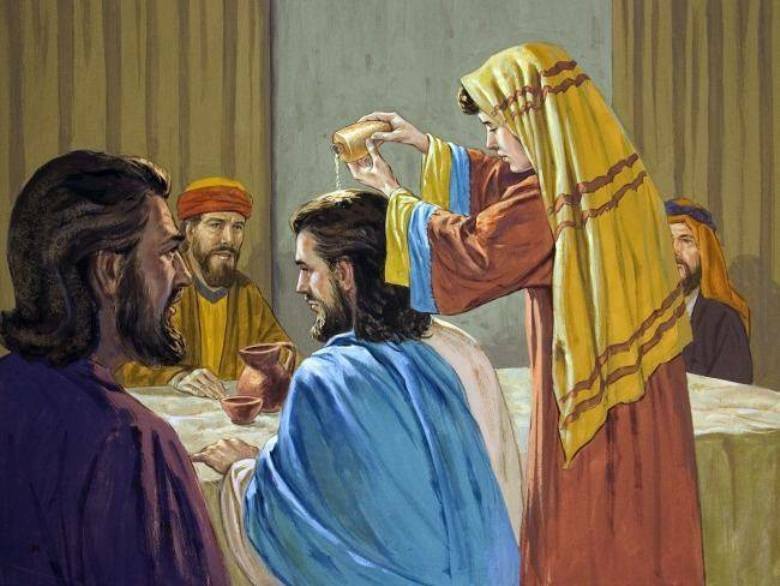 Then, a couple weeks later, we studied the story of the woman who anointed Jesus with super-expensive—a year’s wages worth of—perfumed oil. Interestingly, Jesus taught that BOTH gifts were precious and accepted. When speaking about the second woman’s act of service, Jesus said, “She did what she had.” (That’s a literal translation from the Greek.) And that inspired me, because that’s all God asks of any of us: To “do” what we “have.” So, I decided to act: I “did” what I “had.” With nearly twenty years experience in website design and marketing, I knew how to set up a website and social media pages with the purpose of gathering Believers together to pray. The rest is up to God. If it grows, it grows. If it stays small, it stays small. The bottom line is that we PRAY for this country. It doesn’t really matter whether you live here or not, the USA is a major global power, and what happens here affects everyone!